Silk flowers since real flower isn't in bloom? Is it highly frowned upon to do silk/fake flowers? I want trumpet daffodils because they are the 10 year anniversary flower and this is for my vow renewal ceremony. They aren't in bloom that month. So I thought I could get them fake. Good or bad? Re: Silk flowers since real flower isn't in bloom? It is not wrong to use fake flowers, but for me, personally, I hate fake flowers because they look fake. But in the end it is really a personal preference. 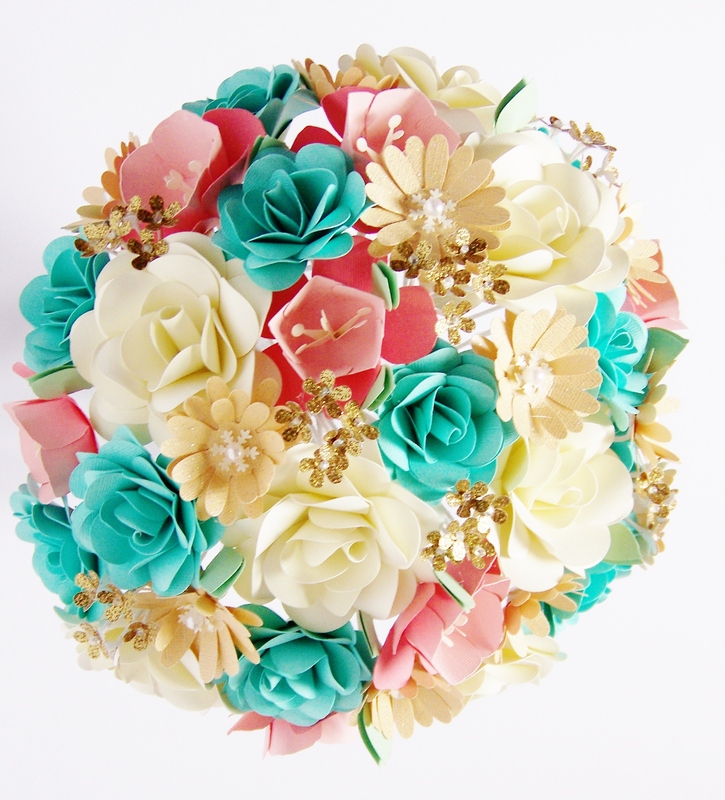 am ordering paper flowers from a lady on Etsy and I absolutely LOVE THEM. She even gave us a discount for ordering a bulk order. I like the fake flowers for several reasons. First of all, I struggle to spend hundreds of dollars on something that will die in two days. Secondly, It doesn't matter what is in season because I can get whatever color I want. Lastly, if I have little girls they will be able to play with them down the road and I think that will be really neat. Here's a picture that she sent me! Don't feel embarrassed or anything to do fake flowers because you should do what represents you and your relationship the best! What is the name of the girl who did these flowers because I love them! I am doing fake flowers as well just so I can get the flowers I want for the wedding and I do not have to worry about them dying or wilting before the ceremony. Plus I can make one to keep forever!